Ever walk through the bead aisle at a craft store and think that a strand of beads would look good as a necklace just like that? 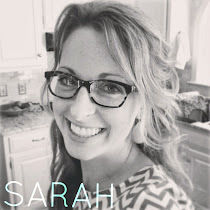 When I saw these teal beads that's just what I thought, so I'll show you how I made the strands into a necklace in just 10 minutes. Start by cutting a length of wire about two inches longer than your determined necklace length. At the end of the strand of beads there are two smaller usually clear beads. Reserve these. On your wire put: a crimp bead (not crimped), clear bead, and one end of your clasp in that order. You're going to loop the end of the wire through the clasp, then back through both the clear bead and the crimp bead. Holding the two ends of the wire, push the clear bead and the crimp bead close to the end of the clasp, then crimp the crimp bead. Thread your decorative beads on and repeat the exact same steps to finish the other end of your necklace with the other side of the clasp. Done. 10 minutes. Now that's my kind of craft! Of course I'd love that Lindsey! Thanks for your offer! We'll chat. So lovely! Nice job & thanks for the tutorial! i have had that same thought so MANY times! hobby lobby, here we come! 10 minutes or not, that necklace is great! 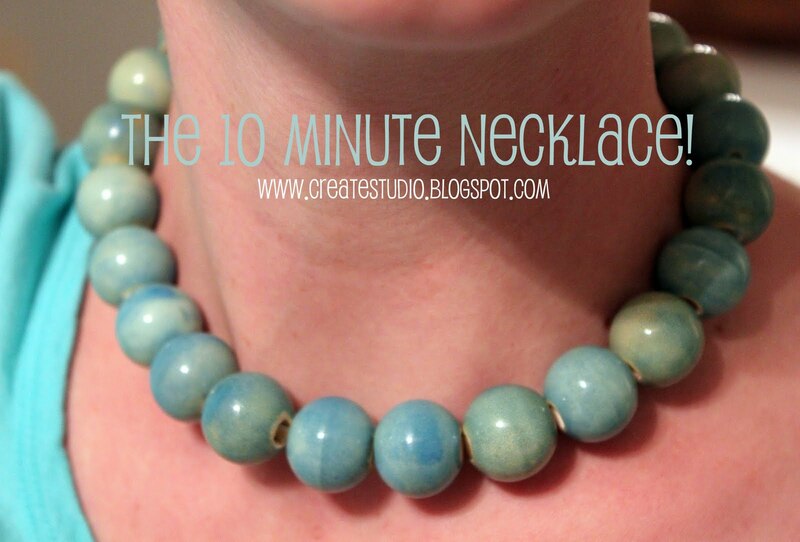 There are a lot off beautiful necklaces you can make in 10 minutes. That is the wonderful thing about beading. You can be as creative as you want, in whatever timescale you find fit. I love the color too! Beautiful job! I am going to try this! I've seen these strings of beads in the store and thought the same thing! All of the beading bits and pieces and tools are a little overwhelming, though. Thanks for explaining!